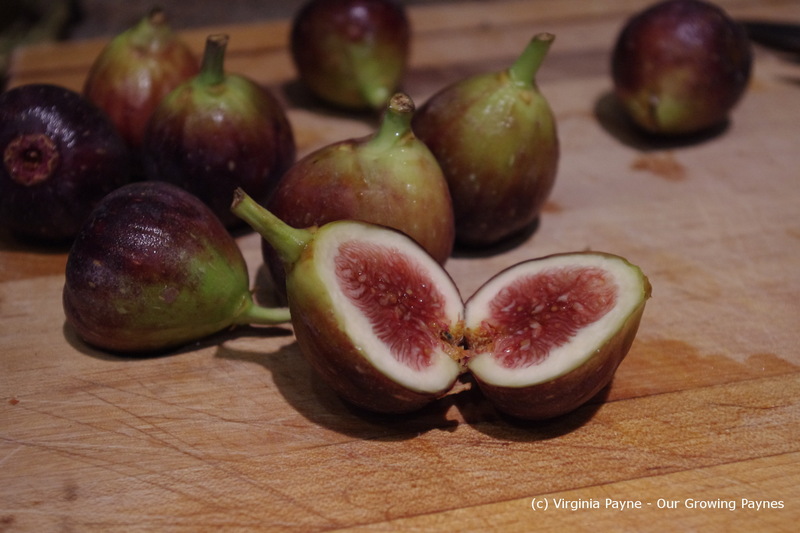 I Don’t Give a Fig, Actually That’s Not True…. As many of you know I do my best to buy local foods but because some ingredients can’t be grown here and we’ve been spoilt by having them available anyway as I’d be hard pressed to give up real Parmesan cheese. And wine. But there are some ingredients that either we just can’t get or are strictly seasonal and we may get lucky here and there. Figs are such an ingredient. I have come across many a fig recipe that just makes me envious and I can’t do anything about it because we can’t get figs! So you better believe when I saw some at the co-op I grabbed them. They are very expensive so I only got one pack. Wonder how many I would need to get to make fig bars? In any case I wanted to do something simple for dinner. I came across Taste Spotting on Pinterest that has loads of crostinis. Their version of crostini used brie which I did for my husband but for me I used goat cheese. I also made up so more buttery mushrooms and baked brie to have with crackers. Perfect after a long day! This is super easy but the flavour is amazing. 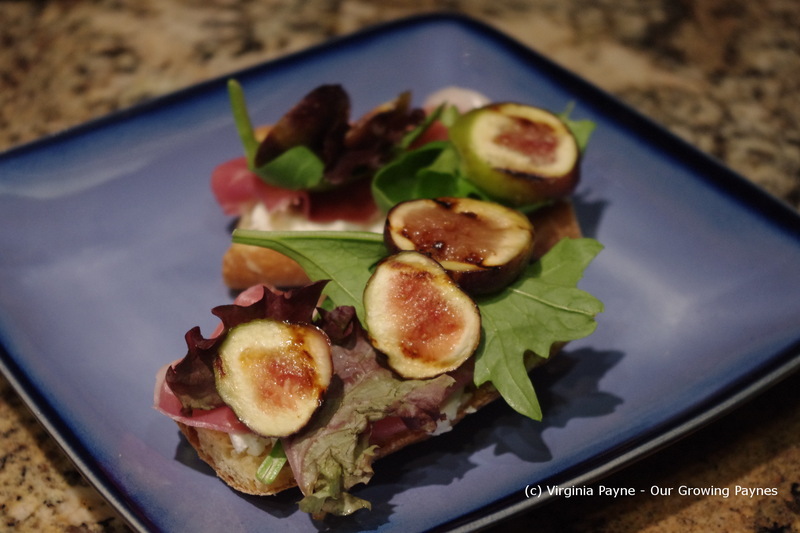 The ingredients needed are figs, goat cheese, salad greens, prosciutto, and crusty bread toasted. You can grill the figs on a proper grill but it was really cold so I took our cast iron grill and did it stove top style. 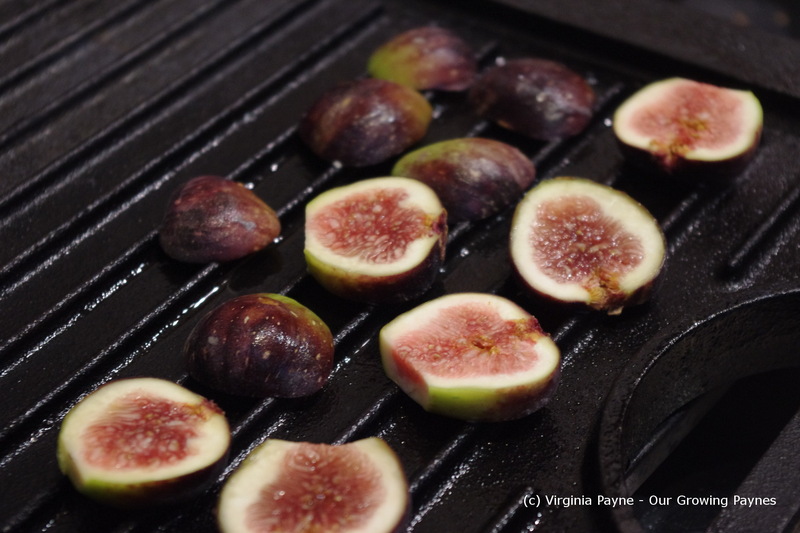 Slice the figs and place on the hot grill. I did spray some cooking oil on the grill before heating up. Cook on each side until grill marks start forming. You want them to soften and warm through. After you toast the crusty bread spread the cheese, layer on prosciutto and salad greens, then top with the fig. As I said this was amazing! This is now one of my favourites by far. The sweetness of the fig against the savory of the rest of the ingredients was a great balance. And it takes less than 10 minutes to make. Perfect! This entry was posted in Italian Recipes and tagged bread, cheese, cooking, crostini, fig, food, goat cheese, prosciutto. Bookmark the permalink. OMG. This looks divine. Tracy’s community farm in Fitzwilliam grows figs if your interested. I also like figs. I wish the season wasn’t so short. They are so delicious, I’m with you, wish the season was longer. Such a delicious thing…figs are favourites of mine. I wish I could get them fresh where I live… But I do love to play with dried figs… Pretty salad! I haven’t tried dried figs. That might be something for me to use to make fig bars. I’ll have to look for them.